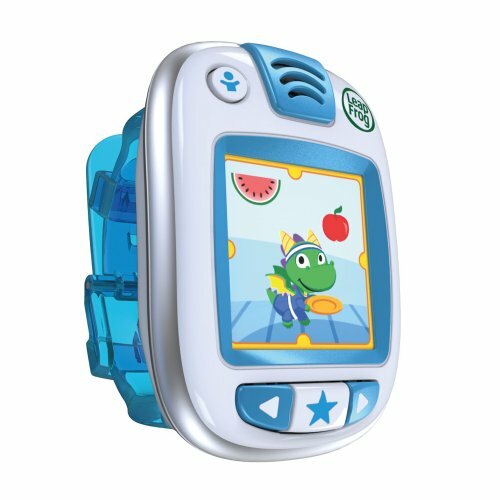 POSTS What Is The Best Fitness Watch For Kids Currently Available? The fitness watch is becoming a must have accessory. The truth is that in excess of 40 million units were sold in 2017. Perhaps more surprising is the estimation that sales in 2022 will hit 243 million. That’s why you need to discover what the best fitness watch for kids is. It’s worth noting that the best fitness watch for kids is not necessarily the same as the best fitness watch. Put simply the needs of a child are considerably different to what you need a fitness watch to do. Of course you’re needs are different depending on whether you’re starting a fitness routine or looking for a watch to help you with a triathlon. I spend several months evaluating the best fitness watch for kids and was amazed by the difference in the products. But what really struck me about the Vivofit Jr. 2 was how well it was put together. It really is a small version of the Vivofit 4 or the Vivosport. 4 Choose The Best Fitness Watch For Kids Today! The Vivofit Jr. 2 is made by Garmin. They are well established in the electronics field having produced an array of GPS devices before moving into the world of fitness trackers. 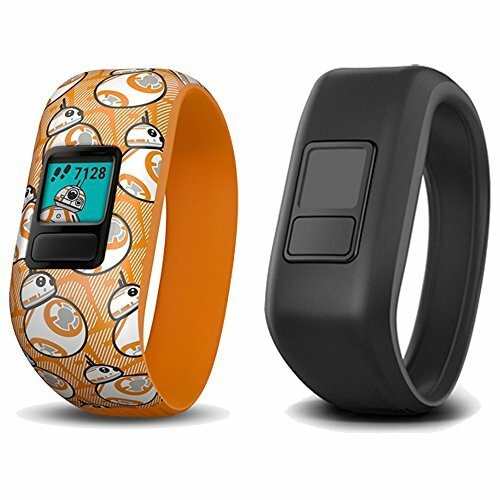 The Vivofit Jr. 2 is designed in conjunction with Marvel, Star Wars and Disney. This means there are several different themes available; simply choose the theme your child will like the most and their watch will be covered in it. The Vivofit Jr. 2 will also connect to a smart phone and allow your child to play an adventure app based on the theme. These interactive apps are designed as a reward for your child hitting a pre-determined target. In addition there are new watch faces and badges every time a target is reached. This is a great way of keeping your child interested. 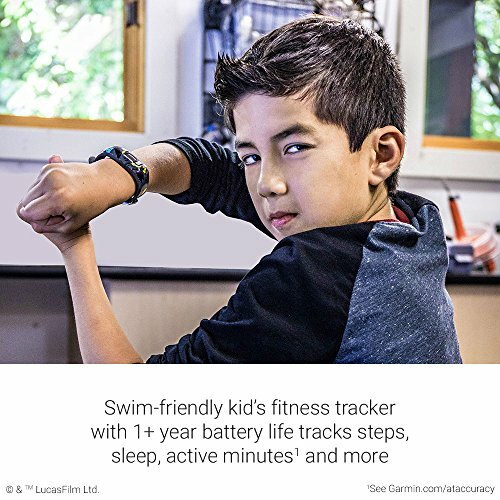 This fitness watch will tell your child the time. But it will also keep a track of the amount of steps they do per day and the amount of time they are active. There is also a great extra feature where you can track steps as a family. The Vivofit Jr. 2 will need to be connected to a smart phone for this to happen. The great thing about this is that you can have mini competitions between the family; although don’t be surprised if you get beaten by the kids. It is also possible to set a chore for your child and monitor their progress. There is an array of chores programmed into the watch and you can add your own; such as brushing their teeth. A completed chore gives the child a coin and you can choose what they can buy with their coins to get a physical reward. Garmin are known to make high quality watches and the Vivofit Jr. 2 is no exception. A nice touch is that they have chosen to use a standard coin cell battery. This should last for approximately a year and your child doesn’t have to remember to charge the watch regularly. It’s also worth noting that the wrist band is very stretchy to ensure it is easy to put on. It is worth noting that the display is not always easy to see. This can particularly be frustrating for children when they just want to see their progress. Although the adventure game aspect is a great feature the game is a little limited and children will often find it boring after a while. This is something that could be addressed in the future by Garmin. 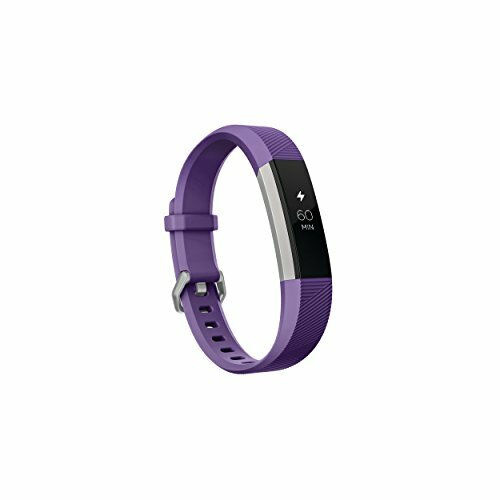 The Fitbit Ace is specifically designed for children aged 8 and up. Fitbit released their first smart watch in 2007; the company effectively started the accurate monitoring of fitness through wearable products. They remain at the top of the industry thanks to their dedication to quality and innovation. The Fitbit Ace is a great example of a this. The first job of any fitness watch is to monitor the activities your child makes. The Fitbit Ace is very good at doing this. It monitors steps walked, active minutes and even monitors the level and quality of sleep that your child is getting. You can wear the Fitbit Ace all the time; but it may take a day or two too get used to wearing it. You’ll find that it is actually very comfortable. Part of the reason for this is the fact that it is designed for children. In keeping with other best fitness watch for kids the unit is relatively small; allowing it to sit comfortably on their wrist. Alongside this the strap is soft and stretchy; ensuring it remains comfortable regardless of what your child is doing. The Fitbit Ace looks similar to many other fitness watches, a rectangular screen with a soft strap. However, you can get the Ace in either power purple or electric blue. Both styles include thin lines round the watch which are virtually guaranteed to get your friends talking. In short the Fitbit Ave oozes style. You can also personalize this by selecting your favorite clock face; each of the 10 options will show the data in a different format. All you have to do is choose the one that you like the most. One of the reasons why this watch made the best fitness watch for kids list is because of how easy it is to use. All you need to do is flick your wrist and the screen lights up. Alternatively you can tap it to get the desired response. It will automatically track your sleep and your steps; allowing you to monitor your progress and download the info to your Fitbit app. It is worth noting that a child can only record and access their Fitbit information via a parent’s Fitbit account. You’ll need to create the account and you’ll be able to monitor it. The Ace will also remind you to move if you haven’t moved; helping you to reach a daily goal. A few people have commented that the screen doesn’t always turn on when you flick your wrist or tap it. This can be frustrating although it appears that tapping the strap can have the desired effect. Perhaps more concerning is the fact that the Fitbit Ace is paired to a smart phone to allow the stats to be recorded. However, most young children don’t have their own phone. Despite this the Ace will vibrate when a call is coming in. There is little point in this. Leapfrog is a well established manufacturer of educational electronic children’s toys. The company was founded in 1994 and focuses on helping children to expand their knowledge and imagination. The Leapband is another tool in their arsenal to achieve the desired results. Check out the best fitness watches; most of which can be used by adults or children. However this is not the case for the Leapband.Get your children interest in fitness with the Leapfrog Leapband. The first thing you’ll notice about the Leapband is that it is very child orientated. Instead of counting steps your children can undertake an array of activities including walking, running, dancing and even jumping. The watch allows you to pick one of eight pets and choose its name. They will occupy the screen and help to motivate your child to complete the challenges. There is a simple progression bar on the screen which will tell your child how close they are to reaching their target. Pet options include a dragon, money, penguin or even the standard cat / dog. Some of the exercises will be pet related, such as “walk like a penguin”. The real incentive in completing a challenge is the reward. Children earn joules which will allow them to access pet treats and games. You can access 10 pre-loaded games and easily unlock another 40 by earning the necessary joules. They can even unlock an additional 8 pets! As much fun as it is using the Leapband it is important to note that it is designed to get your child moving and teach them about staying healthy. There are an abundance of fun facts regarding snacking and nutrition. You’ll see these facts displayed throughout the day and can adjust your eating habits accordingly. The screen itself is high resolution and surprisingly easy to see even in sunlight. This helps to keep your child interested but the icing on the cake is the fact that you can choose between analog and digital mode; helping your child to learn to tell the time properly. The Leapband is the best fitness watch for kids between 4 and 7 but it is a little large; considering the size of a child’s wrist at this age. Of course it is light and fun to use but the bulkiness may present an issue for some children. Choose The Best Fitness Watch For Kids Today! The Leapband is a great introductory watch for any child. It’s fun and helps to get them moving. But, as your child gets older they will need the best fitness watch for kids; that’s the Vivofit Jr. 2. Although it’s close between this and the Fitbit Ace, the Vivofit Jr. 2 has the edge in terms of comfort and features. Your child will be happy to wear this and will get a lot of benefits from it; especially as it is the best fitness watch for kids you can currently buy.